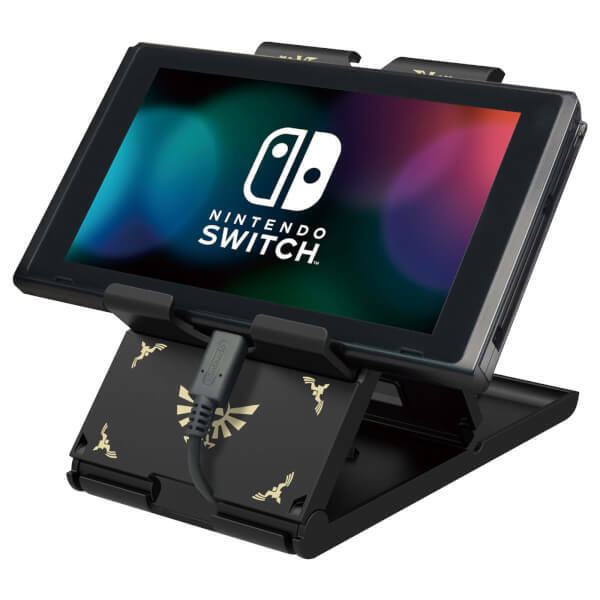 This Nintendo Switch Play Stand allows you to play in table-top mode while charging at the same time. 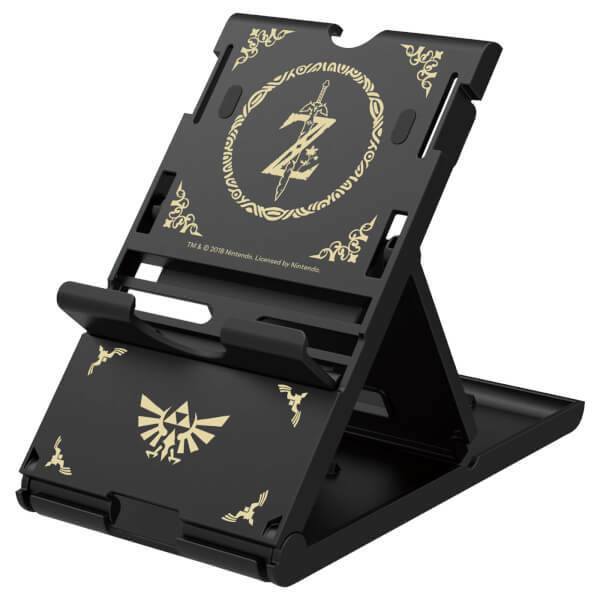 The Play Stand also offers three viewing angle-settings and comes in an iconic The Legend of Zelda design! 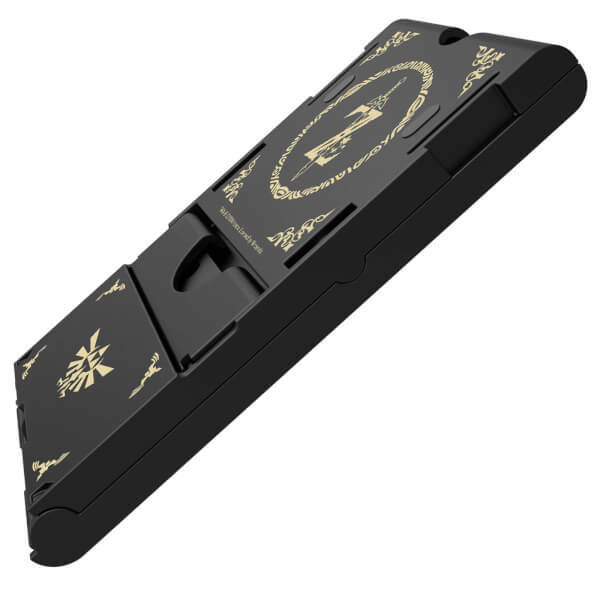 Prevents overheating and it's a great looking product. Perfect on the go! 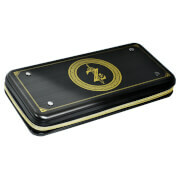 Beautiful stand with lovely Zelda emblem. 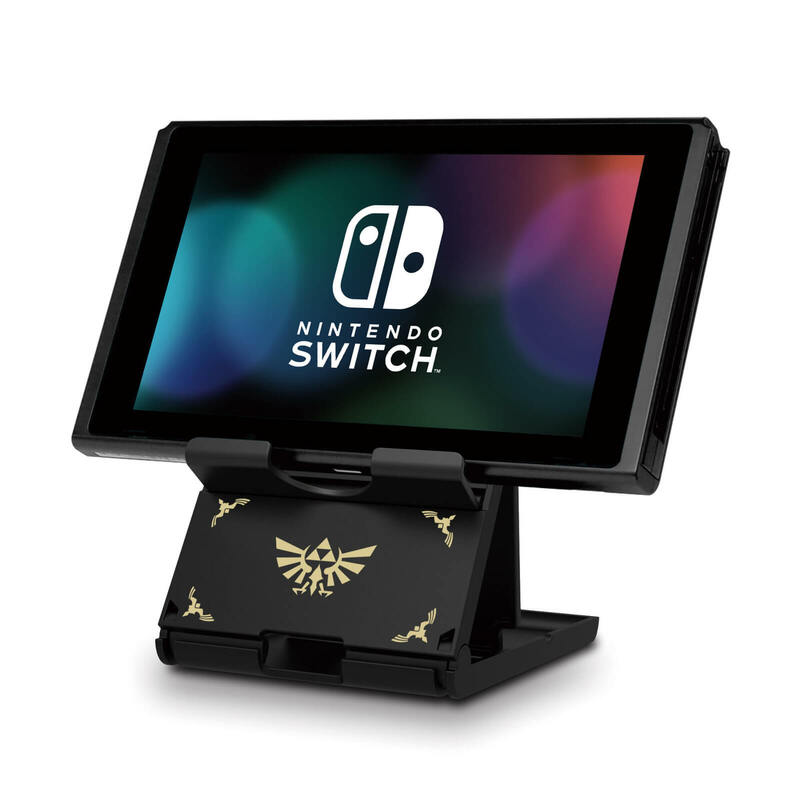 Stand is lightweight but is stable on flat surface. Easy to set up. 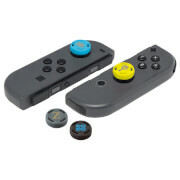 Device holder has tiny pegs to hold your Switch in place. Charging cord made be attached in front or through the opening via the back, keeping it out of the way. 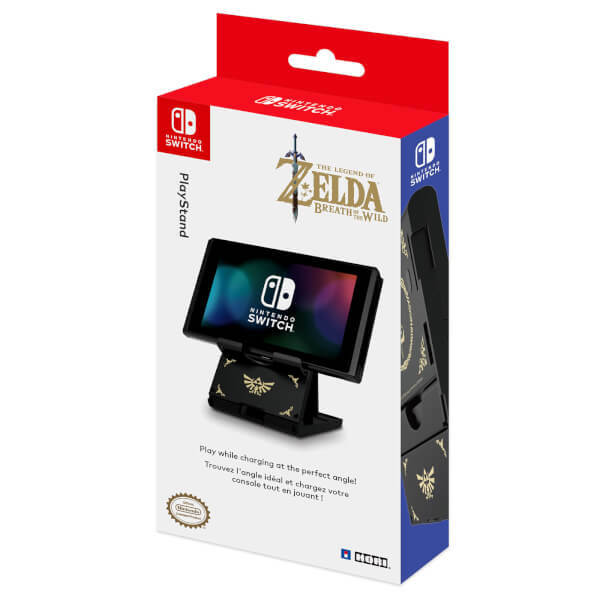 Just what I needed for my switch. 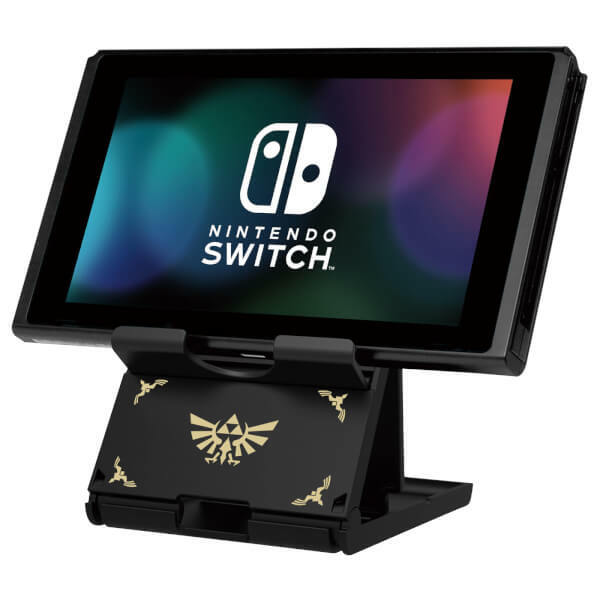 This stand is snazzy and cool and folds down to a nice, compact shape for easy on the go play. Brilliant!